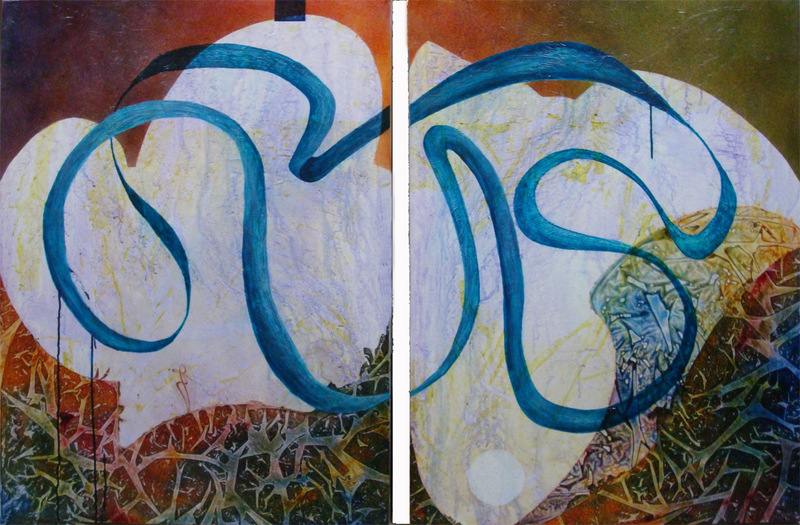 Diptych, each canvas is 40x30x2-3/8" to be hung with a gap approx. 2". Acrylic on stretched canvas, wrapped--no frame needed, wired and ready to hang, signed on the side, varnished for protection.